← #RELEASE, an exhibition and program series that explores the intersection of gender justice and mass incarceration. Introducing 2015 TJFP Panelist, Trudie Jackson! The Trans Justice Funding Project is pleased to welcome Trudie Jackson to our 2015 grant making team. Trudie Jackson, an enrolled tribal member of Navajo Nation from Teec Nos Pos, Arizona. Her Clans are Bitter Water Clan born for the Leaf Clan. The Mexican Clan are her paternal clan and Yucca Fruit-Strung-Out-In-A-Line Clan are maternal clan. .
A nontraditional student at Arizona State University (ASU) pursuing double undergraduate degrees in Public Service Public Policy & American Indian Studies with anticipated graduation of August 2015. Actively involved in ASU Rainbow Coalition as an e-board member of Director of Advocacy, a member of Native American Student Organization, and a member ASU TRiO Downtown Campus. In 2015 – Transgender Leadership Exchange Cohort – under the The National LGBTQ Task Force, Chair (2010-14) Southwest American Indian Rainbow Gathering, 2014 Clinton Global Initiative University representing ASU, 2014 Equality Arizona Skip Schrader Spirit of Activism Award, 2013 TRANS 100, 2013 Women of the Year by Echo Magazine, 2013 Dan Galloway Scholarship by Phoenix Pride, 2012 – Board of Director member Chair of Diversity Committee for One Voice LGBT Community Center in Phoenix, AZ, 2012 Outstanding American Indian College Student of the Year by Phoenix Indian Center, 2011-14 Steering Committee member for The Network for LGBT Health Equity, 2011 Udall Scholar by Udall Foundation, 2010 Invited speaker at University of Arizona, 2009 Invited speaker at Northern Michigan University, 2008 Red Ribbon Award by National Native American AIDS Prevention, 2006 – LeaderShape representing Phoenix College, and 2004 to 2009 Chair for Arizona American Indian HIV/AIDS Task Force. 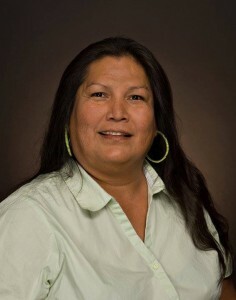 Trudie strongly advocates on behalf of American Indian LGBTQ Two Spirited members. We’re really looking forward to working along side you Trudie! Comments Off on Introducing 2015 TJFP Panelist, Trudie Jackson!